In this digital age, Newton’s law has got a new add-on; it says- for each and every action, there is equally powerful social media reaction. True indeed, with social media channels literally on fingertips, it is possible for everyone to be a publication themselves. Need to express oneself is stronger than ever. Brands have exactly picked up this feeling and started reactvertising. Reactvertising basically means using your brand to quickly react to the latest events, usually without having any pre-planned strategy. Here, the focus is on the latest events- be it a world cup victory or major terrorist attack. The idea is to be in the list of names when anyone searches for the trending topic. The idea is to be real – time! It also becomes easy to measure the results because real time means real results. Amul has been doing reactvertising since many decades brilliantly. However, it’s in the traditional media where people see the comic strip next day after the event. However, in these days of social media where trends are changing each and every minute, the most important thing is to be fast. 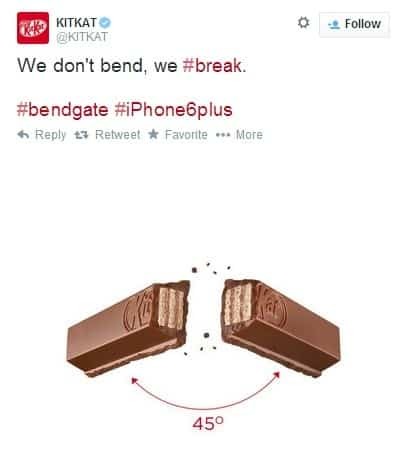 When the iPhone 6 bendgate happened, Kitkat was quick enough to come up with this witty tweet! 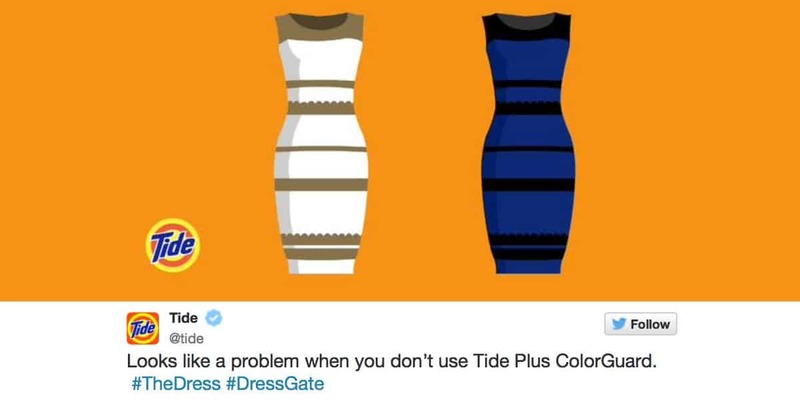 It keeps brands visible during trends. Human element – when brands give birthday wishes or pay condolences during the time of grief, customers feel good and relate to the brand more because of the human value. Increases brand retention- If you brand creates amazing doodle for some event and continues to do so over the time, people easily retain the brand and relate to its style. 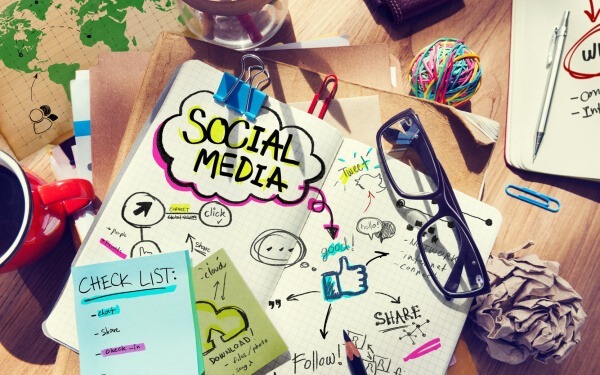 Engagement – when the brand reacts to certain event, the people sharing the same emotion instantly get connected to the brand and it increases the followers. Quick results – Because it’s easy to gauge the results of trending topics. You can actually see how many people are responding on social media as soon as the event has happened. Yes, we have to be quick; yes- we have to get there first, but presence of mind is very important while racing towards the first post. Sometimes, the haste can land us in trouble. Like this ad below! 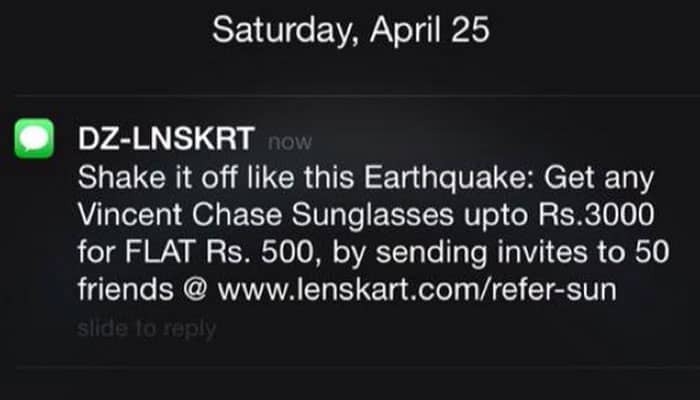 Lenskart took it too far while cashing on Nepal Earthquakes. Being sensitive in such events is more important rather than selling your products. Lenskart received a lot of criticism over this ad and #shameonlenskart was trending on Twitter for a long time after it was published. Here the content plays a very important role. Wrong choice of words and images can land the brand in trouble and once it gets a negative feedback, it becomes hard to recover from it. Thus, the brand can afford not being there first, but not being hated by the people. So even though reactvertising is all about being very on-the-feet, a lot of thought should be put into it while executing every single tweet/ post. It can take a brand long way if done right, however, single mistake stains the brand image in no time!